58% of companies surveyed rate their alignment of sales and marketing as poor. 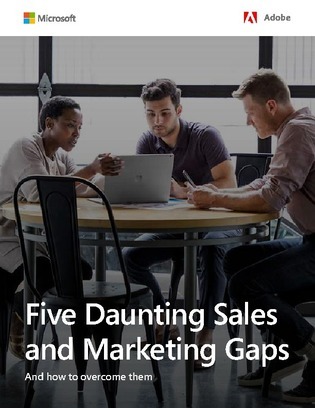 What sales and marketing gaps are you defending? How are they impacting your ability to hit your numbers? In this resource, examine 5 massive gaps that could be costing you time, customers, top-line growth and profit, and how you can transform your business with 3 critical tips.